Audits – a waste of everyone’s time or a great way to identify safety improvements? Opinion will be mixed. Anyone who has been involved in an audit, whether it be for safety, quality or environmental reasons, will have a different one, formed by their own experiences and those around them. Audits can be good, or they can be a disaster. A good audit should have all parties engaged positively, working towards a common goal, finding material ways to improve operations at your workplace and enhancing everyone’s commitment and understanding. It’s a rare occasion when audits work this well. So how do you make sure your audit is a positive experience? Here are 8 ways that auditors and auditees can improve the quality of audits. This should be self-explanatory. If you can’t provide your auditor with documentation and records that demonstrate your practices, you’re going to be hard pressed to get a true indication of your management system performance. Audits occur for many reasons, whether it is to satisfy a certification, a license or part of normal internal assurance practices. While each might seem the same, the scope of the audit and the activities that it involves can often be different. Understanding the reasons for an audit can help ensure you are best prepared. It’s in your best interests to give your auditor a chance to prepare prior to showing up on your doorstep. If they arrive without any knowledge of your system, you will have to explain the detail of every process to them. Send through the suite of procedures that make up your management system prior to the audit and let the auditor review it in their own time, not yours. Unfortunately, audit standards and criteria are usually full of jargon and language designed to help auditors, rather than auditees. Read the audit criteria carefully, along with any guidance material, and make sure you address all that it asks in your systems and processes. An audit is a complex process often squeezed into a tight time frame. A good audit plan, one that allocates suitable time and resources, provides the best chance for the auditee to demonstrate how they conform to requirements, while also providing the auditor with opportunity to identify meaningful improvement opportunities. Auditing is its own specialty and requires specialist skills. 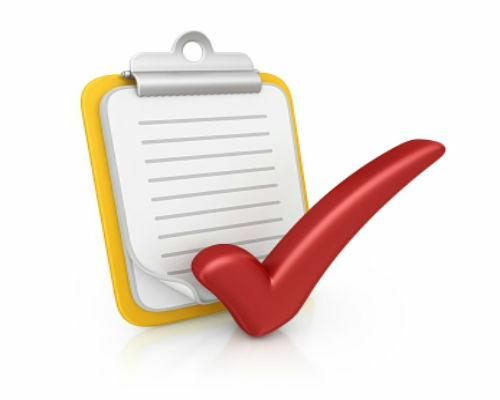 You can verify that your auditor has the requisite skills and experience by asking for evidence of their certification. If the auditor doesn’t have it, you’re unlikely to get much value out of the audit. The purpose of an audit is two-fold – firstly to identify what you are doing well, and secondly to identify opportunities for improvement. Experienced auditors have a knack for knowing when the wool is being pulled over their eyes and will recognize quickly if the auditee is trying to conceal evidence or direct the auditor to evidence of one type over another. At the end of the day the auditor is there to help, so hiding evidence will only leave your system standing still. If you have been through an audit, you would probably recognise those auditors who don’t take a risk-based approach to their assessment. Auditors shouldn’t use a “one size fits all” approach, rather they should consider the auditees risk profile when asking questions and making findings. At TCA Partners we have experienced Specialists with a wealth of auditing experience, across a range of industries. To see how we can assist you take a proactive approach to auditing and ultimately assist in improving business operations and safety management systems within the organisation please contact us.